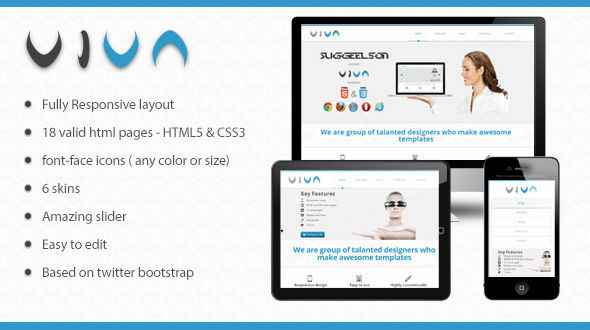 Viva is a simple and clean template suitable for any business or portfolio site, created with last HTML5 and CSS3 techniques. Fully responsive design for any device. Some images is not under Creative Commons Attribution 2.0 Generic for commercial use and not included with downloadable version. Support requests are handled via email, please use email form in profile page ( bottom right ), please include the theme name. Usual i respond within 24 hours depends of the my time zone.